It's wonderful to live in a city where there are literally markets every weekend, such a fabulous place to buy fresh fruit and vegetables? However if food markets aren't what you're looking for, don't worry. With enough searching, you're certain to find a market or two that offers wonderful homemade or vintage items as well. The best part about the markets of Brisbane is that there is something for everyone, you just have to be willing to explore and look around. If you are looking for farm-fresh food options, then Milton Market is the market for you. Not only is it a place that you can grab some delicious and homegrown food items, but they also do a really great job of making it a fun place to just hang out as well. If you have a few hours to explore all the intricacies of a market, this is the one that you should start with. Visit here for further information. On the hunt for some delicious meat and seafood options? Look no further than Eagle Farm Market for your protein needs. And while that may be a big bulk of what they sell, they also offer fruits and veggies as well. Visit here for further information. Who knew that this market was the one and only organic market in Queensland selling certified organic products? Plus, they have some pretty good bread and preserves as well! Visit here for further information. Looking for a bit of this and a little of that? Make sure you have a pit stop at The Collective Market to see what you can find, you'll be sure to find things you love. Trinkets and pleasant surprises await. Visit here for further information. This is a great market that showcases the offerings of the local art scene. It's totally possible to score some amazing artwork or cool clothing options at the South Bank Young Designers market. Visit here for further information. Who doesn't love finding treasures and buying second-hand? At Suitcase Rummage, sellers can literally bring a suitcase full of items that they are wanting to sell to others. It's really a fun experience and a great way to spend a few hours. Visit here for further information and when the next Suitcase Rummage market is on. Need to pick up some bread for lunch and a bouquet of flowers? Brisbane Powerhouse has you covered! Take a stroll and see all the offerings that you could possibly take home with you and with 4 locations across Brisbane if you can't get to the Powerhouse at New Farm you will be able to visit any of the other fabulous Jan Powers markets. Visit here for further information. 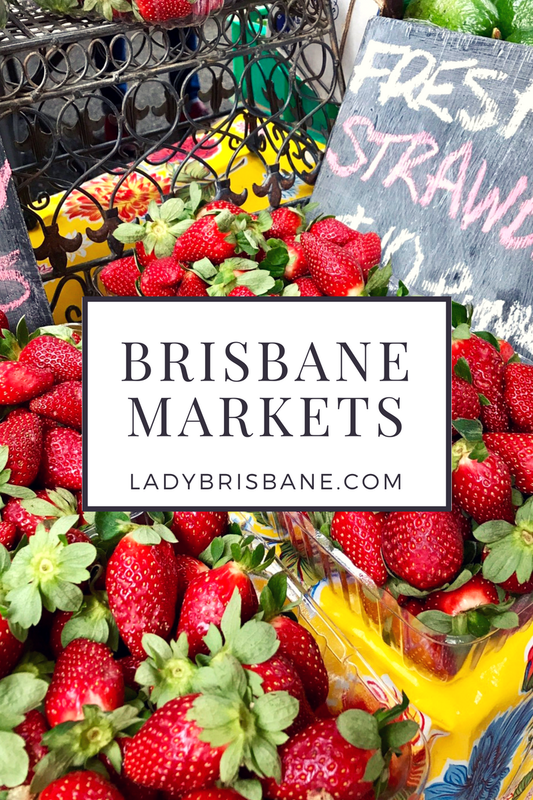 No matter what you are looking for, there is more than likely a Brisbane market just waiting for you to explore it. Why not spend a Saturday touring and checking out all the markets? You may be amazed at how many there truly are!